Chatswood Seventh-day Adventist Church is home base for approximately 80 people in Sydney and of these 80, approximately half are 30-45 year olds and one quarter are 6 years and under! 1. Connect – every Saturday afternoon we have lunch together, either on location at Chatswood Church or in our homes, and we also have regular Church Socials and an annual Church Camp. See Calendar for what’s coming up! 2. Grow – every Saturday morning we have an open, small group Adult Bible Study on location at Chatswood Church . For more details about these activities, our Kids’ Club and annual Spiritual Retreat, see Calendar. 3. Serve – all of our members at Chatswood Church are encouraged to volunteer in some way and this typically happens within our church, our local communities, and sometimes further abroad. Contact us for opportunities to serve or if we can serve you! 4. Share – we put a special emphasis on sharing God’s love during our Testimony Days , and we live to share God’s love with others all day every day in our homes, workplaces and communities. 5. Worship – every Saturday we have a Worship Service on location at Chatswood Church and on the first Saturday of the month we call it Testimony Day because we have someone sharing their testimony in the place of a preacher. See Calendar for more info about these programs and what’s on this week! *If you’ve not heard the word “Sabbath” before and you’re wondering what it means, “Sabbath” is the name Adventists commonly call Saturday because it means “to cease, to end, or to rest” and this is what God did on the seventh day of Creation (Genesis 2:1-3) and what Jesus did in the tomb between His death and resurrection (Mark 8:31). Sabbaths are the day we celebrate being created by a loving God and being reconnected with Him and others through Jesus Christ. For more information about any of our beliefs, see What Seventh-day Adventists Believe. Born out of a tent meeting in 1902, the North Sydney Church was officially organized in 1905 with a membership of 12 women plus children. These women were soon joined by two men secunded to become their deacon and elder. Together they met in three different locations before purchasing land for both a church and school building in 1916. The church building opened in 1918. In 1926 the school opened and was located in the basement of the church building until the school building opened in 1927. This school consisted of both a Primary and High School until a Seventh-day Adventist High School was opened in Wahroonga. The Primary School closed for 20 years between 1930 and 1950 and reopened for 7 years between 1950 and 1957. By 1939, which marked the 21st anniversary of the North Sydney Church, the membership totaled at 185 people. These people continued meeting at the Chandos St location until 1971 when the church relocated to its current premises. After a variety of community and evangelistic programs during the next 25 years, a shift in demographics saw church membership dwindle until there were few more than a dozen members at the end of 1996. It was at this point that Chatswood Church took on a new initiative to become home base for Adventist university students across Greater Sydney and the pastor of Chatswood Church doubled as university student chaplain. This emphasis continued for a number of years but as mentioned above, Chatswood Church now comprises a majority of young adults, a few of whom began attending as students in 1997. Today our focus is on connecting people with God and others and growing them as disciples of Jesus and we have no doubt God has preserved our church for a reason! Boriss was called into ministry for the second time in 2008 whilst working in a successful business in Sydney. Since then, he has attained his MA in Theology at Andrews University and Avondale College, graduating with a specialization in Marriage and Family. For the past 7 years he has been in full time pastoral ministry in Melbourne, Australia. His ministry highlights include running Vacation Bible Schools, baptizing his father and taking groups of young people on mission trips to Thailand. Boriss has studied and lived on 3 different continents. He has experienced a harrowing escape from war and the loss of a sibling. In all this, he has seen God’s hand at work in his life, saving him for a greater purpose. 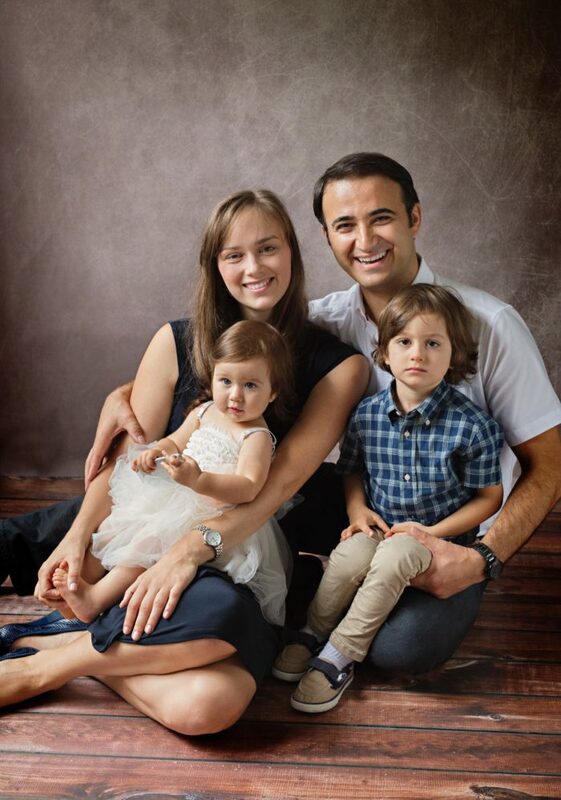 Today he shares his life with his wife Heidi and kids Rafael and Ella. As a family they love summer, sunshine and service projects. In his spare time, he enjoys bushwalks, tennis, bike rides and watching documentaries. Boriss thoroughly enjoys studying the Bible with people and running small groups. He is passionate about building stronger families and loves seeing young people commit their lives to Jesus. Nothing gives him more joy then witnessing the transforming power of the Holy Spirit at work in people’s lives.